The world’s largest religious gathering, the Ardh Kumbh Mela is being organized in Uttar Pradesh’s Prayagraj, also known as Allahabad. The Kumbh Mela 2019, which will start from January 15 and go on till March 4, will be held at the Triveni Sangam, the meeting points of three holy rivers – the peaceful Ganga, the calm Yamuna, and the sacred Sarasvati. The Kumbh Mela’s origin according to Hindu mythology is during the churning of the sea when the Amrit came up, a fight aroused between the gods and demons. To keep the destruction away from demons, Lord Vishnu transformed into his female avatar, Mohini and carried it away to a secure location. However the goddess accidentally spilled four drops of the Amrit along the way to four locations – Haridwar, Ujjain, Prayagraj and Nashik and thus these places become the venues of the Kumbh Mela where people assemble in large numbers to wash away their sins and attain salvation. The Kumbh Mela is celebrated in each location on rotation of every four years and therefore, each city has the Kumbh Mela once in 12 years. 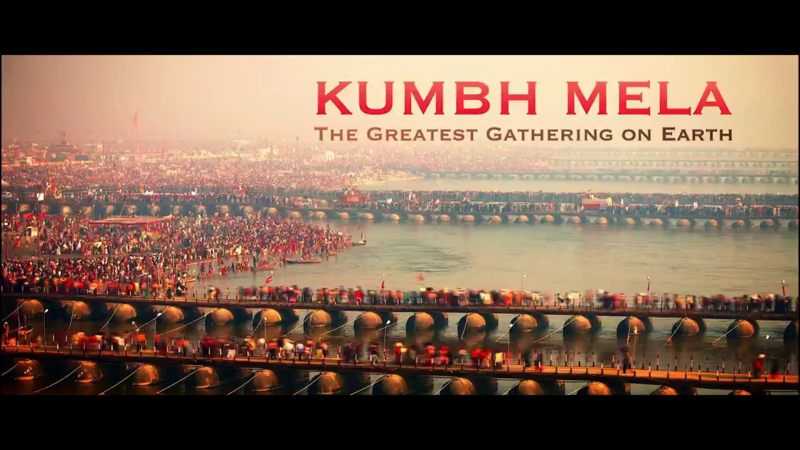 The Kumbh Mela is the largest collection of Hindus in the world as Ardh Kumbh Mela 2019 expected to see a footfall of around 150 million sadhus, devotees, and other tourists. With large people gathering in one place, the Prayagraj undergoes a sea change and you can feel the spirituality and peaceful vibe in the air of the city. It’s definitely an amazing experience. The holy men create a vivid picture at the mela. The Naga sadhus are seen with coils of matted hair and wearing saffron clothes. While the sadhus look fierce, they are the most non-violent group of people, who have renounced all materialistic goods and have great knowledge of the religion. It is interesting to experience these holy men at the mela as they perform the rituals to devoid their soul of sin. At Prayagraj the Triveni Sangam is the area where one can take a dip in the river to rid themselves of their wrongdoings. During this festival, the holy men follow this ritual and are allowed to take a dip in the river before the common people. This ritual is known as the Shahi Snan or Rajyogi Snaan. It is the prime ritual of the mela often beginning as early as 3 am. It begins with the holy men heading towards the river chanting and praying, while devotees line the roads to cheer them on by showering them with colourful flowers. The snaan is the most appealing visual from the Kumbh Mela. The city of Prayagraj is charming and has a royal history. While experiencing the Ardh Kumbh, there are many sites of historic importance that you can visit in this city including Allahabad fort, Anand Bhavan, Pandit Jawaharlal Nehru and Khusro Bagh, the tomb of Prince Khusro and many more. In the evenings, the city lights up and the glittering views from Triveni Ghat are a eye catching site. You can continue exploring the city late into the night during the Mela as the city never sleeps during this time with high energy during these two months.